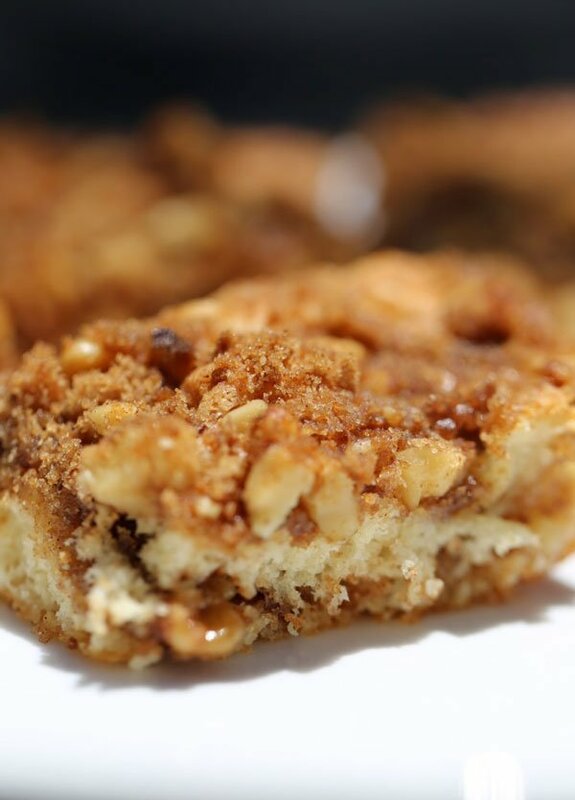 This coffee cake recipe fits all my requirements for the perfect traditional coffee cake. The cake has to be moist, contain a delicious streusel topping with walnuts and cinnamon and it must smell amazing while its cooking. You know that cinnamon smell that fills the house when you’re cooking coffee cake in the oven? So good….